From I-15, exit #189 toward Fort Irwin. Stay on Ft. Irwin Rd for about 30 miles. Turn left (North) on North Loop (Outer Loop Rd). Go about 1 mile and turn left (West) on onto Goldstone Rd. RV Park is on a side street on the left about .5 miles down. Check in at Outdoor Recreation. 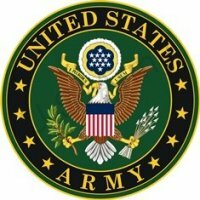 Active duty members on training rotation have priority with the right to "bump" retired from a site, although this rarely happens. Water is available at the Outdoor Recreation Building. A sewer dump is available at a nearby range. Higher prices are for civilians. 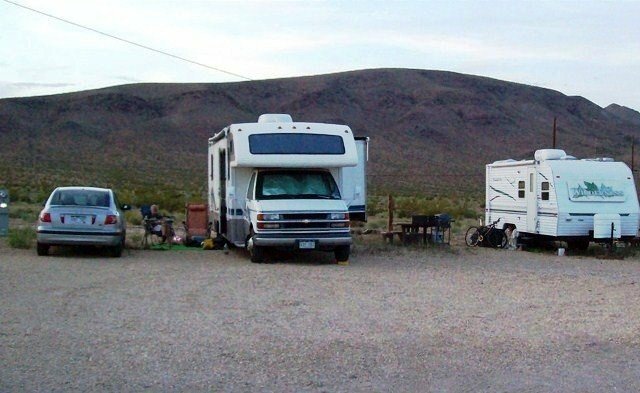 Fort Irwin has plenty of outdoor recreation opportunities, including this RV campground. This campground is suited for just what we used it for, waiting for housing. Electric only with unlevel sites and lots of wind, iit is bare bones. You can fill up water and dump waste fairly close and you are on post just a mile or two from everything. The post has plenty of room and with a little effort and money could develop this into a phenomenal campground to support the post but doesn't look like it will happen anytime soon. As far as visiting it is not close to anything and is about 35 miles from the interstate so unless you are reporting here for duty or visiting someone on post just stay in Barstow at the Calico Ghost Town if you are just passing thru on I-15. Just $10 a night.